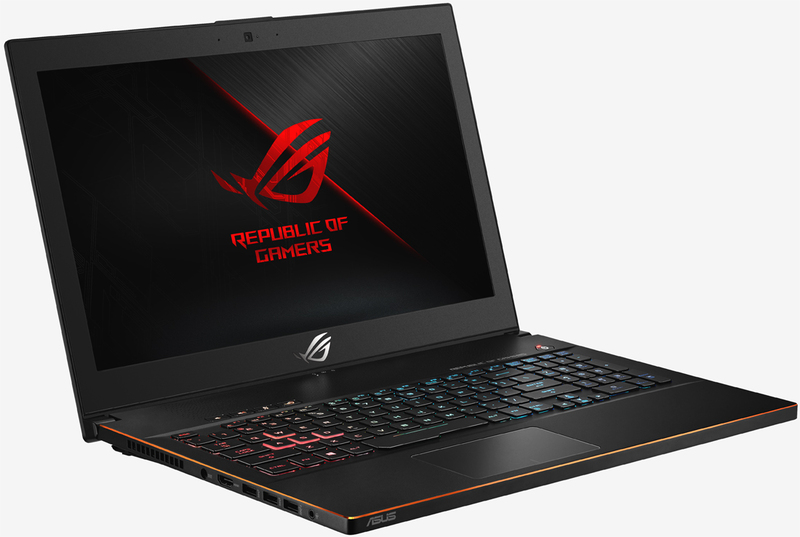 Asus on Tuesday announced a new gaming laptop under its Republic of Gamers (ROG) brand. The Zephyrus M features Intel’s new 8th generation Core i7-8750H CPU, a six-core chip that operates at up to 3.9GHz across all six cores. Asus’ new machine is being offered in three different configurations. The high-end model packs a 15.6-inch Full HD IPS display with 144Hz refresh rate and 3ms response time, 16GB of DDR4 2,666MHz RAM, a 256GB M.2 NVMe SSD and a 1TB FireCuda SSHD alongside Nvidia GeForce GTX 1070 (8GB) graphics. According to Asus, it’s the world’s slimmest gaming laptop to be powered by an 8th gen Core i7 and Nvidia GTX 1070 graphics. It measures 15.1” x 10.3” x 0.78” and weighs in at 5.5 pounds. Connectivity-wise, you’re looking at one USB 3.1 Gen2 Type-C over Thunderbolt connection, two USB 3.1 Gen1 connections, two USB 3.1 Gen2 ports, an HDMI 2.0 port and a 3.5mm headphone / microphone combo jack. The 55Wh, 4-cell Li-ion battery works in conjunction with a switchable GPU mode that provides up to six hours of web browsing time over Wi-Fi. Pricing starts at $1,499 for the entry-level Zephyrus M (model GU501GM-BI7N8) and tops out at $2,199 for the well-equipped variant referenced here. It’s available to pre-order from today and will ship out later this month.